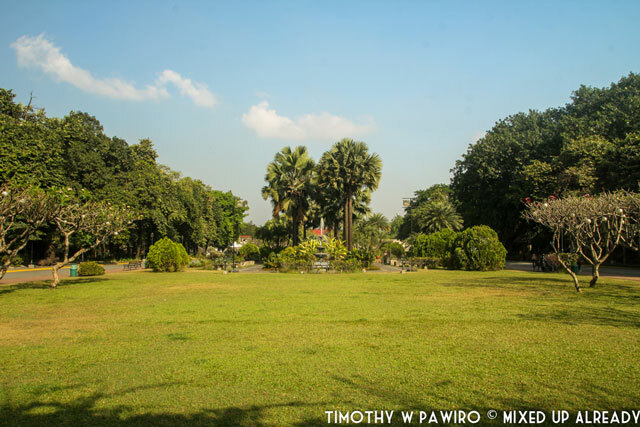 Many people compare Manila with Jakarta, which is my hometown in Indonesia, so Manila didn’t really shock myself and my travel mate, Kania Kismadi, during #MxUAKk trip. 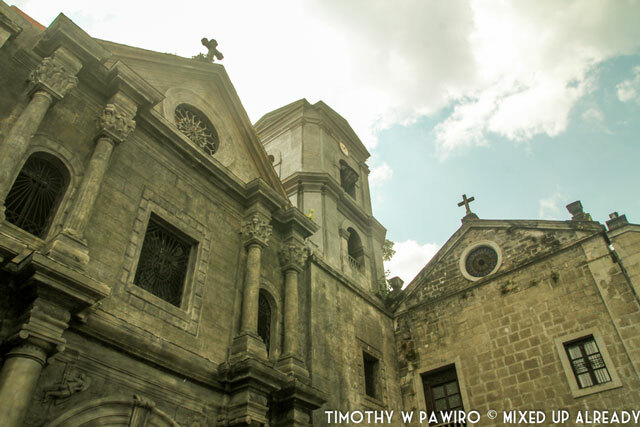 Although we only spent one full day in Manila; we wanted to see as much as possible before we left the town. 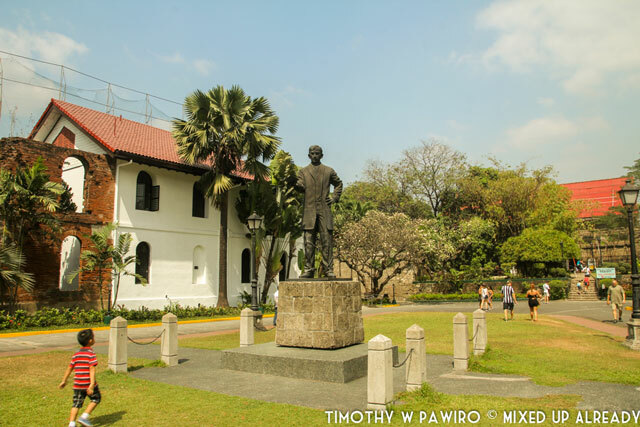 After we did a little last minute research, we decided to join a walking tour in Intramuros and then to other tourism spots like The Rizal Park, and so on. We regret that we didn’t try the MRT in Manila, but during that one day, we did try quite a few of transportation method in Manila, from Jeepney, trishaw, until horse cart, and of course taxi haha. 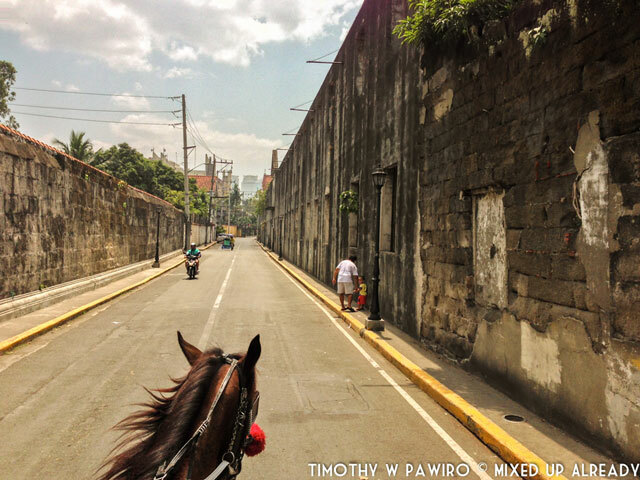 Intramuros is considered to be an old city in Manila, where the city is ‘barricade’ with wall. 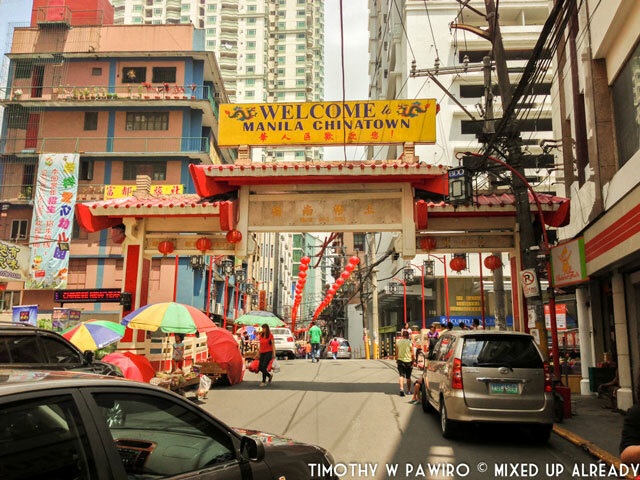 Not long after that, we finally reached Binondo area, after we saw some lanterns hanging on the street and a entrance gate saying ‘Welcome to Manila Chinatown’. 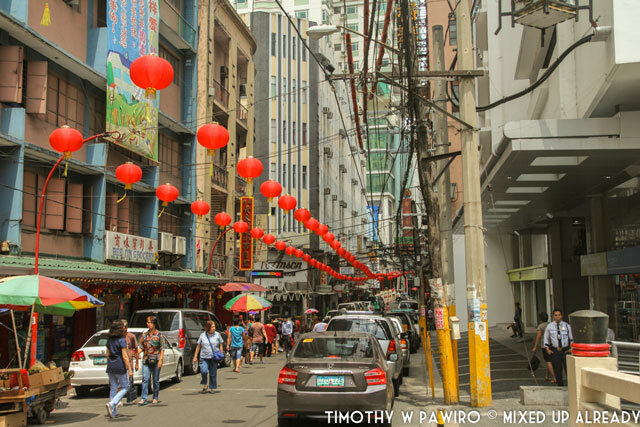 The Binondo is actually quite a dense area with many shop houses along the streets including quite a few small shopping malls in the area. 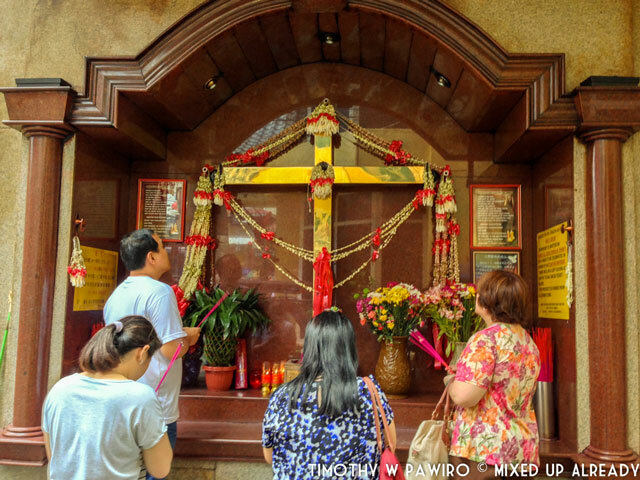 The unique thing that surprised us when we walked in one area of Binondo was that we found a cross with some accessories on it, and the people then prayed in front of the cross using the incense stick [hio] just like when the Buddhist pray in front of their gods. 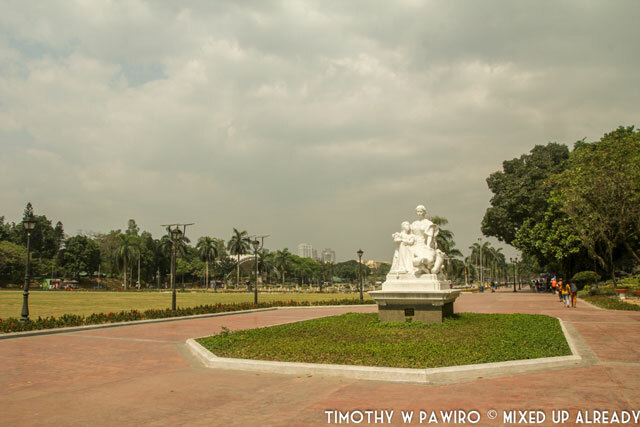 Rizal Park which is located quite near from Binondo was our next destination in this one full day in Manila. 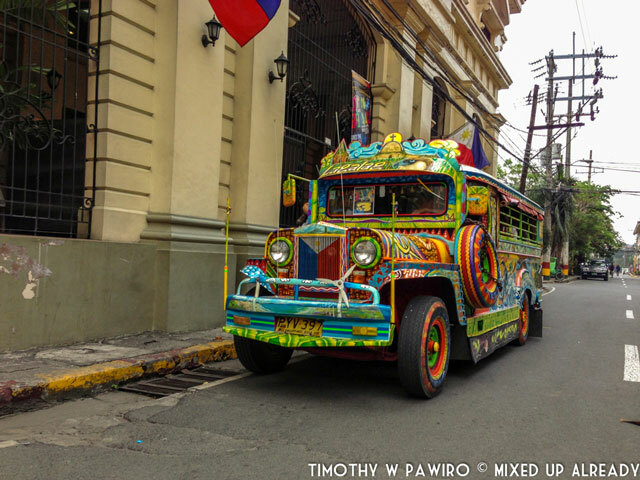 This time we used the jeepney to reach there. 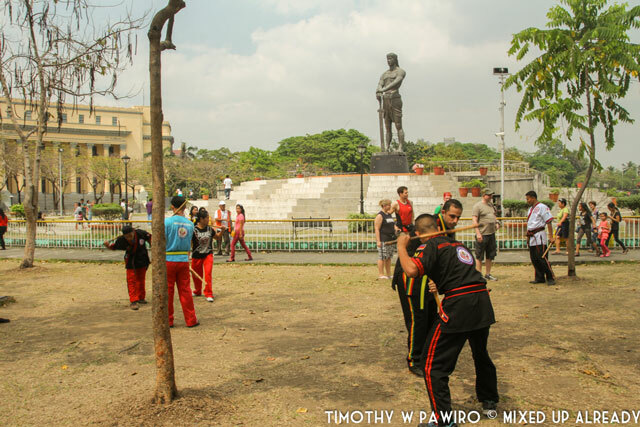 Rizal Park, which is also called as Luneta Park, is actually quite a big park, where many people just go here to do some exercise, hanging around with friends, or just doing some sightseeing like we did. To get to the other park, we should cross the street. 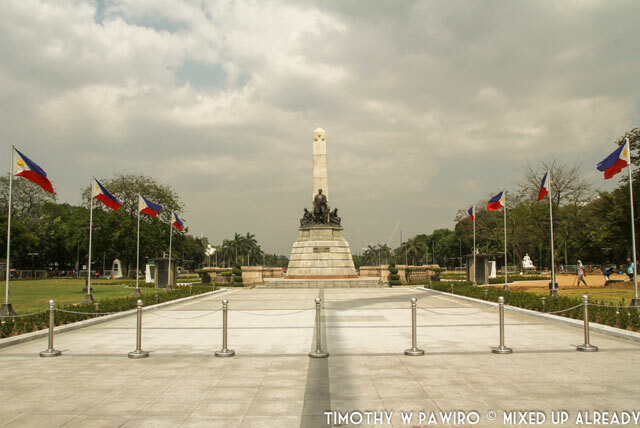 There are quite a few small park on the side, but the main thing to see is the Rizal Monument with an obelisk monument at the end of the park. It was quite a tiring day as we mostly walked and the day was a bit hot, but we didn’t really want to end the day just yet. 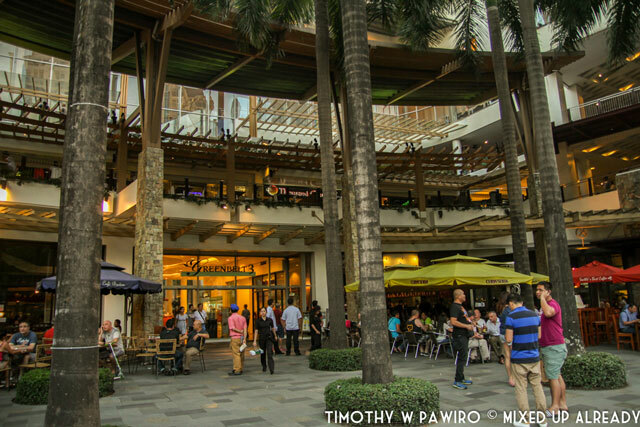 So we headed back to the place that we stayed in Dusit Thani Manila, to refresh ourselves and headed to the malls just beside our hotel. Haha … Yes, we ended our day at Manila in malls. ‘Malls’ mean not just one mall, but a few malls, and all of them are connected to each others haha! 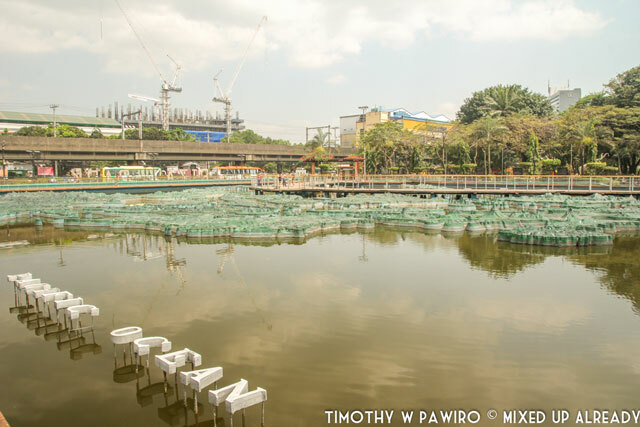 So how many malls near our place to stay in Dusit Thani Manila? 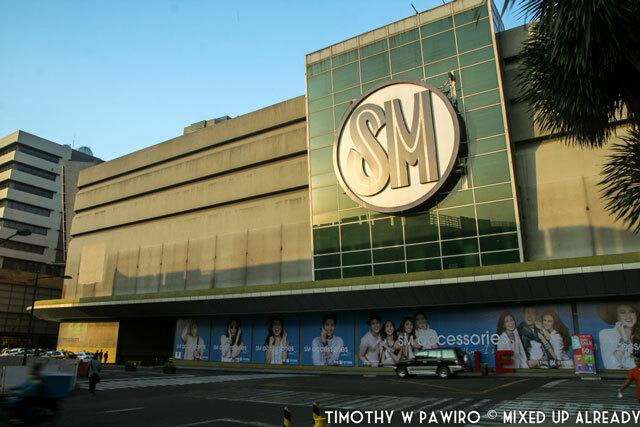 Yep, there are seven malls! This post is part of myself and my friend [Kania Kismadi] trip from Philippines – Malaysia – Singapore. You can check the photos that I have posted in Instagram and search the hashtag #MxUAKk or you can always go to my Instagram profile >> timothywpawiro. Thanks to Dusit Thani Manila, Far East Hospitality in Singapore [Village Katong Hotel and Quincy Hotel], Quest Hotel And Conference Center – Cebu, and Hotel Quickly for being such wonderful partners in this trip. Hi. Awesome photos you got.